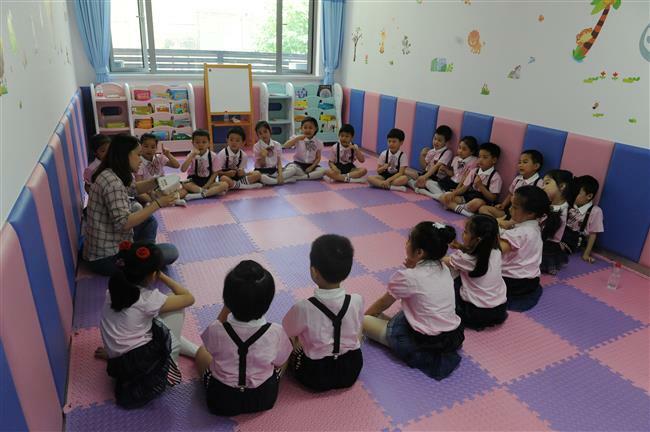 A comprehensive facility offering direction for children's early development was launched at Putuo District Maternal and Child Care Institute. Children have course with teacher to boost their early development. 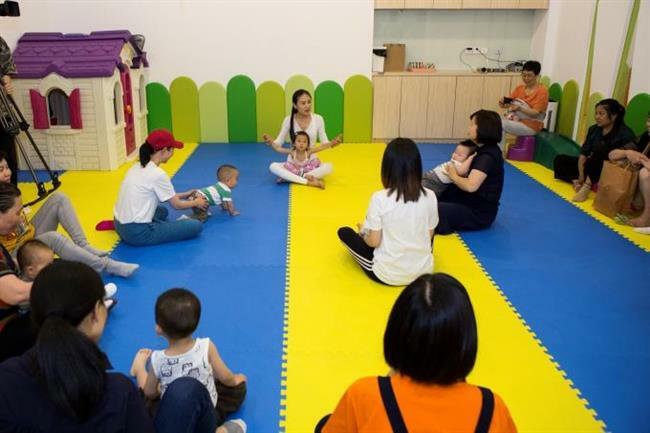 A comprehensive facility offering direction for children’s early development has been launched at Putuo District Maternal and Child Care Institute. The program offers long-term education and intervention on maternal nutrition, maternal psychology, children’s growth and nutrition and children’s psychology, in order to boost the full development of children. “We designed different courses for parents and children in line with age and specially developed teaching tools and materials," Dr Zhao Deqiang, head of the institute said. "This gives each child individualized evaluation and education." Experts also warned parents about children's drug safety, as some parents wrongly give their children medicines which are made for adults. “Many adult's medicines have negative side effects when taken by children,” Dr Gu Li from Shanghai No.10 People’s Hospital told a lecture for new fathers and mothers at Harmony Care Confinement Center. The confinement center, also called Yuezi center, offers health care and services for women and newborn children within the first month of delivery. In China, yuezi, or the first month after delivery, is considered very important for new mothers' recovery and the healthy growth of babies. Parents took their babies to receive courses for early development.